The master plan provides generous landscaped parklands and wide pedestrian friendly streets for this new family community. Named after the first Australian submarine to enter the Gallipoli campaign, AE2 is a 17 hectare block of land that served as a navy store until 1990. DKO were commissioned to produce a master plan, on being rezoned for residential use and in particular defence housing. The master plan provides generous landscaped parklands and wide pedestrian friendly streets for this new family community. 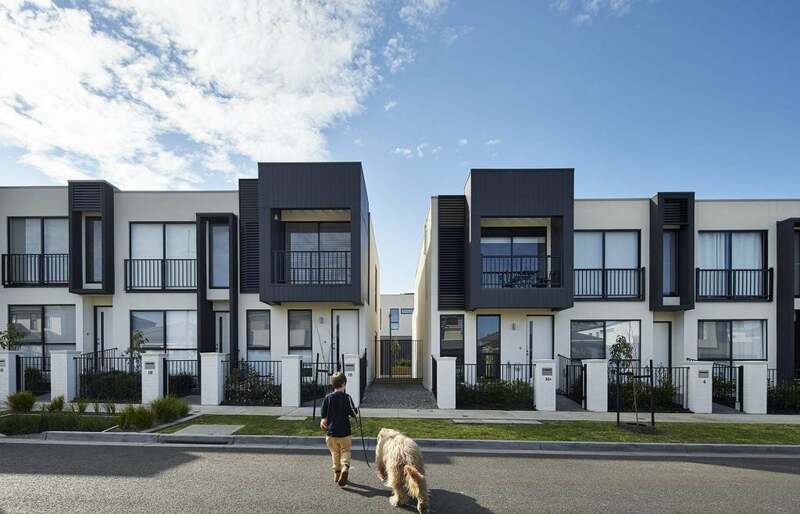 A mix of courtyard houses and townhouses feature rear car access, allowing for active street edges, generous front door access and windows that act as ‘eyes on the street’. DKO also designed 250 dwellings, boasting a wide range of living opportunities and indoor/outdoor courtyard configurations. Other features include palisade fencing, timber screens and first floor balconies. Together these features defuse the boundary between public and private realms, and contribute to the neighbourhood character. 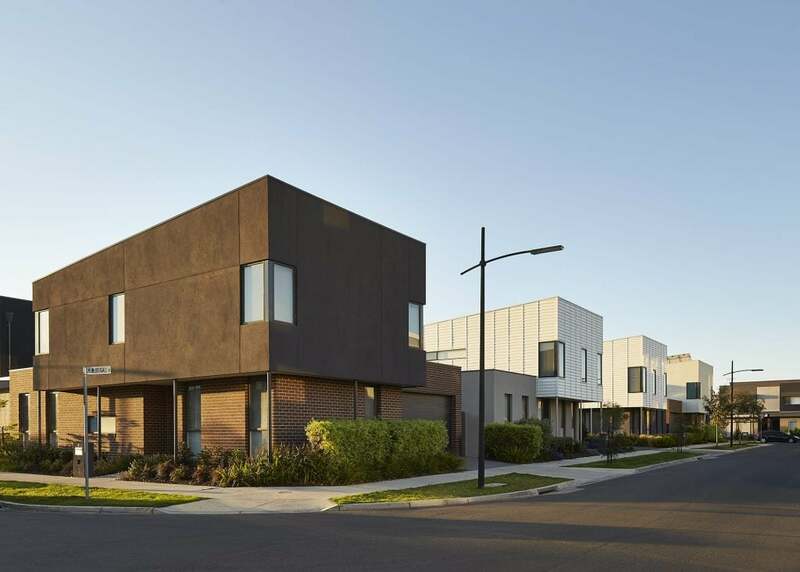 Each house features a tightly edited modern vocabulary of materials, including unpainted brickwork, crisp, white-painted rendered walls and a selective use of warm timber and bright colours. Cantilevered first floor elevations and recessed openings add to the three-dimensional richness and sculptural diversity of the streetscape. 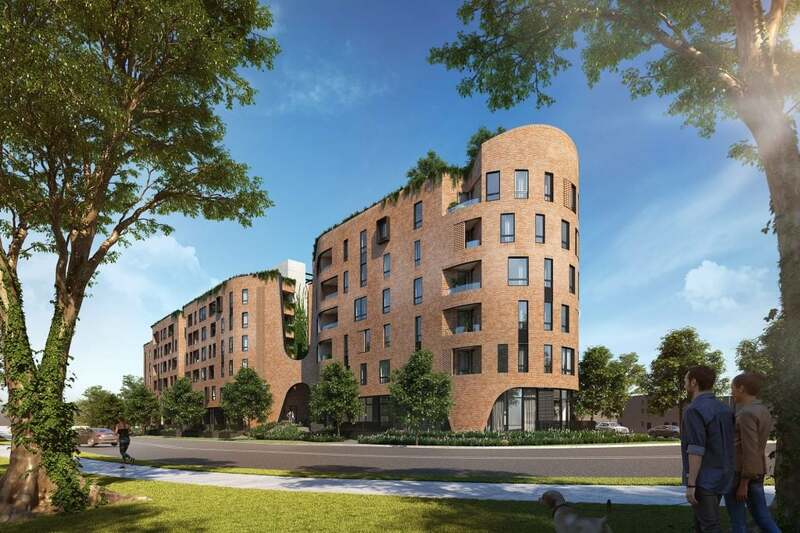 Taken together, the development provides exceptional amenity and represents best practice in both contemporary urban design and community master planning.